I spent my last 7 days of the year 2013 around Munising, Michigan, which is next to the Pictured Rock National Lakeshore along Lake Superior. The main purpose of the trip was to have myself recharged and to get ready for the year 2014. I took photographs during the day and spent the evenings reading and watching TV, including the Packers vs Bears football game, of course. The air was cold and fresh, as long as those snowmobiles were not nearby. 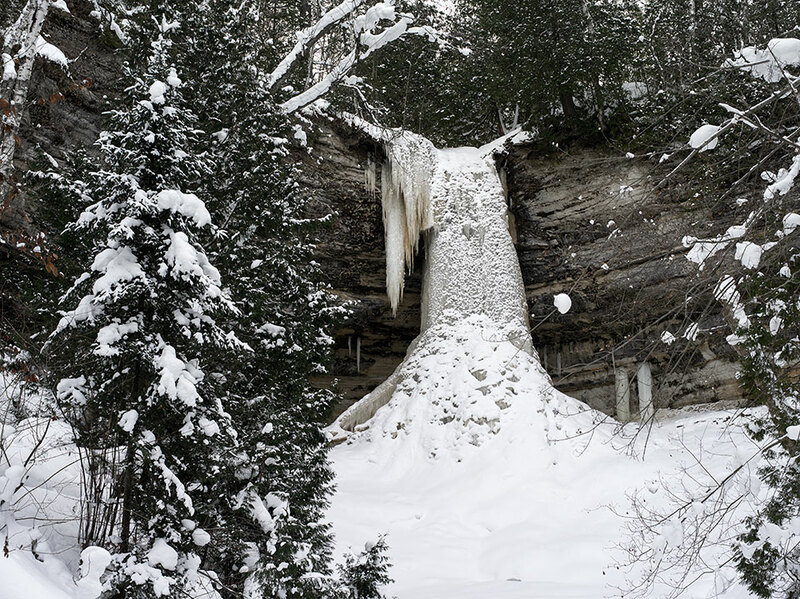 The Munising Bay has frozen, so have most of the waterfalls in that area. People were doing ice fishing, skiing, snowshoeing, or even ice climbing. I was among the few with a camera in hand. During the 6 nights, I finished reading the book Photography After Frank by Philip Gefter. It’s a great collection of essays by the author, although not every essay was related to the book title. My mind seems fresher and clearer after the trip, which I think is both a good ending for 2013 and a good start for 2014.